Packaging: Waterproof paper, blister film then pallet or according to your requirement. 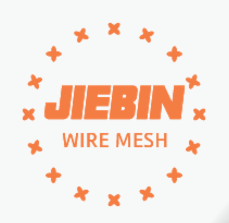 Hebei Jiebin is a professional Welded Wire Mesh, Welded Wire Mesh Panel, Welded Mesh Fence Panels manufacturer since 2002. We offer more than 35 countries of good quality Wire Mesh and Wire Mesh Fence products. PVC Welded Wire Fence is one type of Welded Wire Mesh, PVC coated after welding surface treatment. Inner wire could be Galvanized Iron Wire or natural. PVC coating offers classic look and multiple season use and with long service life. Usage of Green Welded Mesh: PVC Welded Mesh can be used for a variety of outdoor applications including; field perimeter, barrier reinforcement, garden security, and chimney protection. The green vinyl coating offers a decorative and polished look to most yards and natural surroundings. The light weight material is easy to work with and install. Hole patterns: Square hole, Rectangle hole. Color: Black, Green, all RAL 6005 series. Looking for ideal Green Welded Mesh Manufacturer & supplier ? We have a wide selection at great prices to help you get creative. All the PVC Welded Mesh are quality guaranteed. We are China Origin Factory of PVC Welded Wire Fence. If you have any question, please feel free to contact us.